Tucked into a meander of the Célé, Espagnac Ste-Eulalie has preserved the calm of its former priory of Val Paradis, which is surmounted by an exceptional bell-tower. 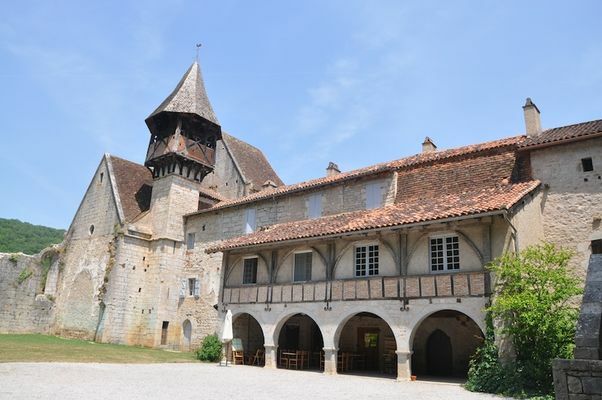 Madame Bonzani, who has lived in the village for many years and who is passionately interested in history, will show you round the village of Espagnac, on a guided tour going from the Val Paradis Priory to the church, a listed monument, via the Chemin des Dames (the Ladies' Way). Two guided tours are organised every day from May to September, starting at 17h and 18h30 (takes 45 mins.) Rest of the year by appointment.